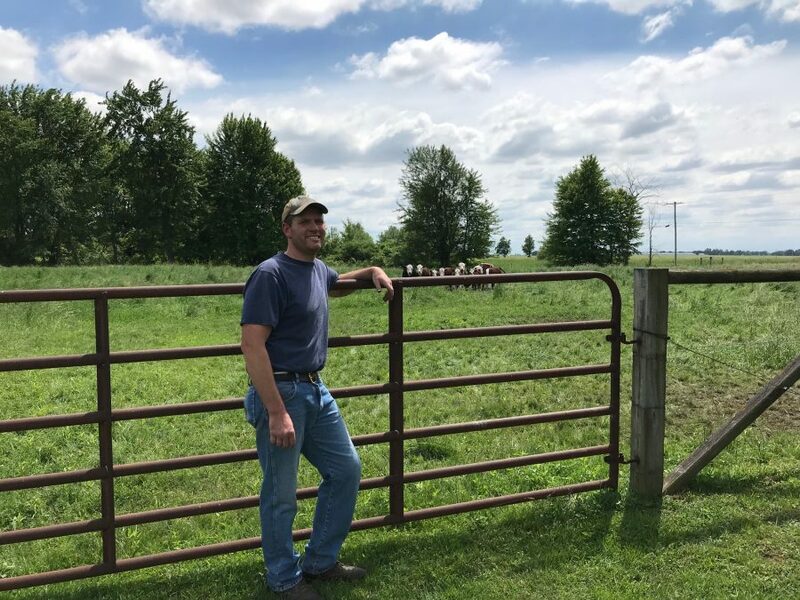 Our beef & pork is all locally raised by our brother, Rob! Our cows are fed corn and veggie scraps. 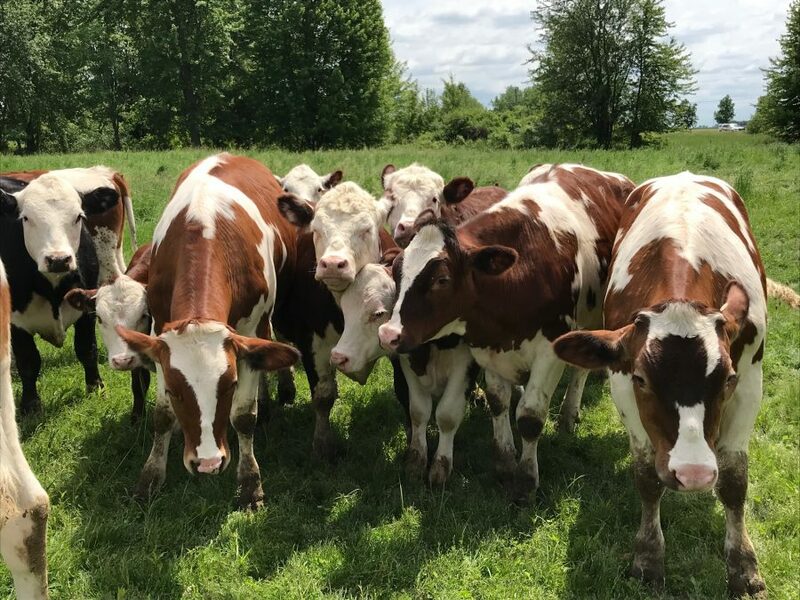 They are out in the pasture and enjoy lots of grass as well. The beef is processed at Byron Center Meats, a USDA inspected facility. A wide variety of cuts are available including porterhouse steak, rib steak, Delmonico steak, sizzler steak, sirloin steak, tenderloin, chuck roast, round roast, rump roast, stew meat, fajita meat, ground beef, 1/3lb hamburger patties, 1/4lb hamburger patties, brisket and soup bones. Beef is available by the piece or in meat bundles. You can also purchase beef by the eighth, quarter or half. Our pigs are fed corn and veggie scraps. The pork is processed at DeVries Meats, a USDA inspected facility. The pork is naturally cured and has no added nitrates other than naturally occurring. Pork cuts include brats (regular brats and Italian sausage), smoked hams, fresh hams, pork shoulder roasts, bacon (applewood and hickory smoked), pork chops, ham slices, ground sausage and sausage links. Pork is available by the piece or in meat bundles. You can also purchase pork by the half or whole. 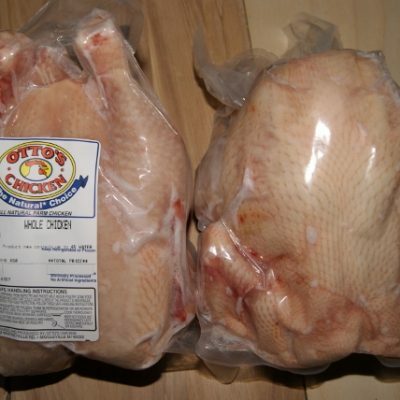 We partner with Otto’s Chicken in Middleville to bring you locally raised, free range chicken. The chickens are fed natural feed and are not given any growth hormones. The chicken comes frozen. We have whole chickens, whole chickens cut up, chicken legs, split breast with rib and chicken thighs. Chicken is available by the piece or in our meat bundles. Beef: The beef costs $3.00/lb hanging weight – that includes the meat, cutting and wrapping. The meat will be processed at Byron Center Meats and will come vacuum sealed and frozen. The average hanging weight for a quarter of beef is 175– 200lbs. A quarter typically includes: Round Roast, Sirloin Steaks, T-Bone Steaks, Porterhouse Steaks, Sizzler Steaks, Rump Roast, Delmonico Steak, Chuck Roast, Flank Steak, Tenderloin, Soup Bones, Stew Meat and Ground Beef. You are able to choose some cuts such as hamburger patties, fajita strips and round steaks. Some of these options may be an additional cost. Pork: The cost of pork is $2.00/lb hanging weight plus cutting and wrapping. You can choose how to have the meat cut. Meat can be processed at DeVries Meats. Pork is available by the half or whole. The average hanging weight for a half of pork is 100 lbs. Please allow for 1 – 2 month lead time. Call (616) 795-2571 or email lindsey@crispcountryacres.com to reserve. 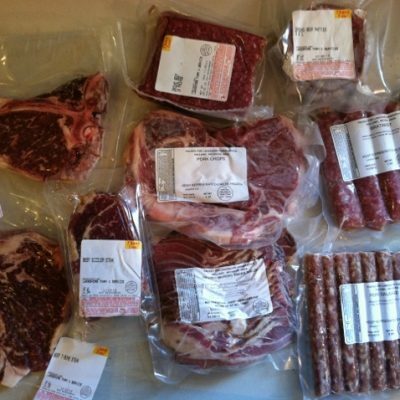 *farmstand credit can not be used to purchase freezer beef/pork. 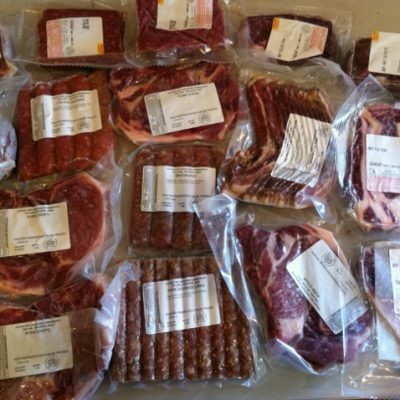 We also offer a selection of meat bundles. You must pre-order these bundles and allow 1-2 weeks for pick up. Call (616) 795-2571 or email lindsey@crispcountryacres.com to reserve. Please click on a selection to view bundle details. *Farmstand credit can not be used to purchase meat bundles. The farm is on 120th Ave in Holland located between Van Buren Street and Bingham Street.